Jon Voight., Teri Polo, James Caan et al. 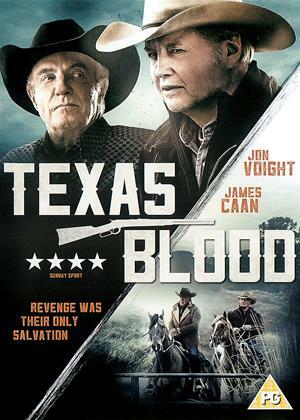 Veteran rancher John Landsburg (Jon Voight) faces federal bureaucracy when his old enemy, Tap Peterson (James Caan), falsifies documents and alleges that Landsburg doesn't leaglly own his family ranch. When officials come to John Landsburg's home to take his land, John refuses to back down and he sets out to prove it with the help of his dedicated daughter, Rebecca (Teri Polo). Together, they'll get to the root of the bitter feud and fight to protect their family's legacy. I was caught like a disbelieving rabbit in the headlights, right through to the end of this rubbish. Don't let that happen to you, is my advice. The best (& only good part) were the locations, both internal & external. After an up-tempo opening scene, it plummeted to the depths via "fresh from drama school" acting, an instantly recognisable plot & the inevitable ending which was obvious within 5 minutes of the start. Poor old Jon Voight (apparently wearing lipstick throughout so here's a sarcastic "well done" to the make up department) for whom the the rich qualities of "Midnight Cowboy" must have seemed just a proud memory.